LINcredible. LINsational. 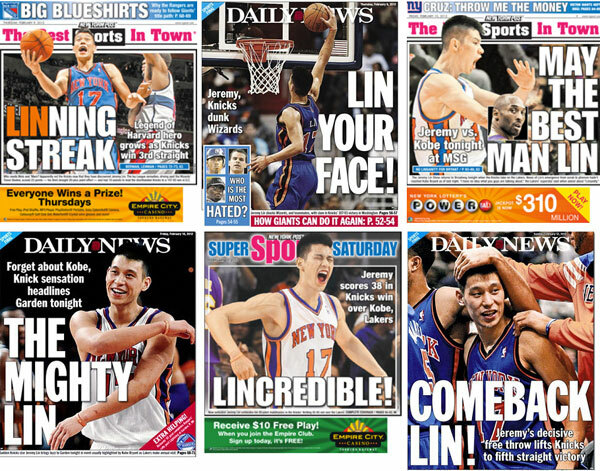 LINsanity. LIN baby LIN. Jeremy Lin the first Asian-American player in the NBA. 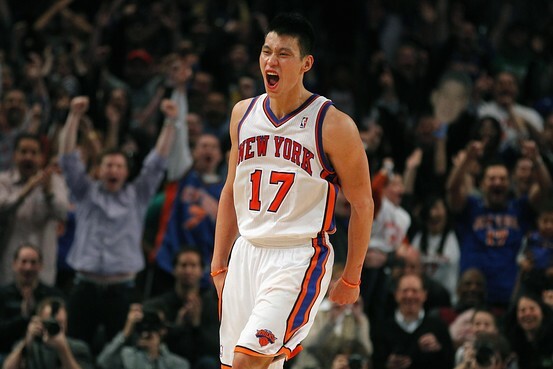 He is a Taiwanese with a Chinese decent, Jeremy Lin made a big impact in the NBA this past couple of weeks. He came from the Palo Alto high school in California, he went to Harvard with no scholarships, he is 1 of 4 players from Harvard that actually played in the NBA, he was undrafted in the NBA, played his rookie year usually on the bench of the Golden State Warriros, was waived and picked up by Houston then was waived again. He played in the NBA D-League, posted a 28 12 & 11 game and was signed by the New York Knicks. The life of this Asian-American, Ivy league student is never the same again. 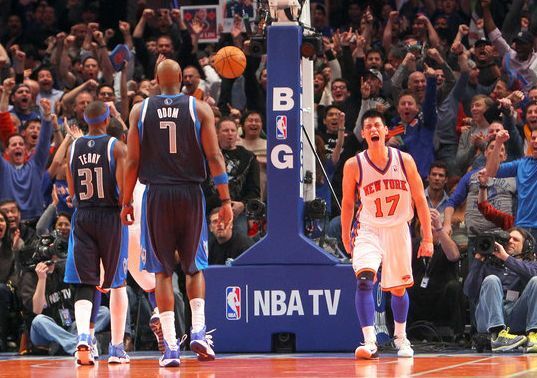 When he got that opportunity to come off the bench in that game against one of the top point guards in the league in Deron Williams and the New Jersey Nets, Lin gave the Knicks a spark. He torched the Nets with 25pts and 7ast coming off the bench. The next game, Lin was at it again. Torched the Utah Jazz to a 28 point game that also featured his passing skills with 8 assists. Knicks found themselves a point guard. The next game, against last years #1 overall pick, John Wall. He made John Wall look like a rookie again. Jeremy Lin had 23 and 10. And comes the Laker game. He destroyed the Lakers with a LINsational performance. 38pts and 7asts. Next game, going up against the rookie, Ricky Rubio who is great young point guard and maybe a future rival of Lin’s (Actually, I also like Ricky Rubio but Lin’s story captured my attention much more). Lin had 20 & 8 and a 5-game LINning streak. The next game, the Kings had Lin on their scouting report and had his tendencies scouted. But Lin’s teammates carried the slack for New York. Lin had 10pts and a career high 13 assists. The LINning streak continues to 7. 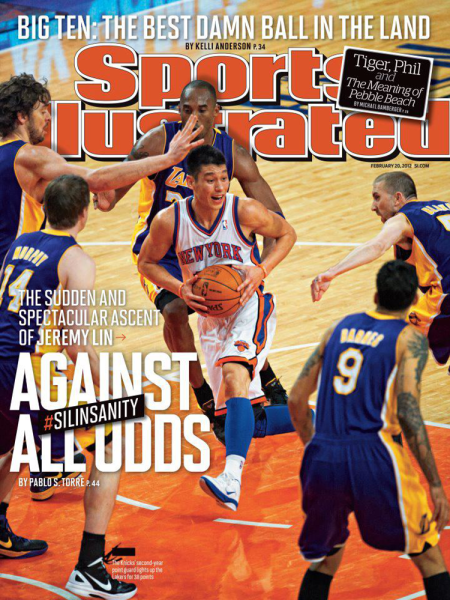 But when the New Orleans Hornets went to New York, they stopped Lin’s winning streak. Knicks lost. Lin had 26 and 5. Then they went up against the defending champs, Dallas Mavericks. They got a new teammate in J.R. Smith. J.R. had 15pts in his debut. And Lin.. well he’s still here. He had 28pts and a career high 14 assists. 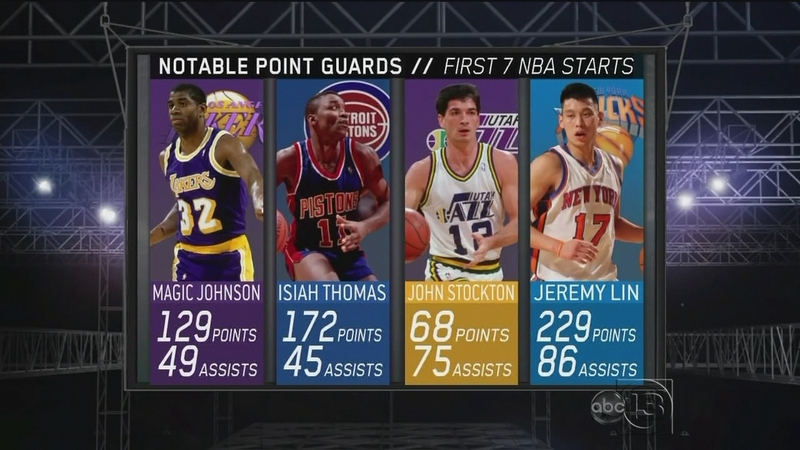 Jeremy Lin has the highest scoring total in his first 7 starts.. EVER in the history of the NBA. And today, Deron Williams came back and got back at Lin with 38pts and the Knicks lost 100-92. Jeremy Lin had 21 points, 9 assist and 7 rebounds. Melo came back from injury and had 11points. 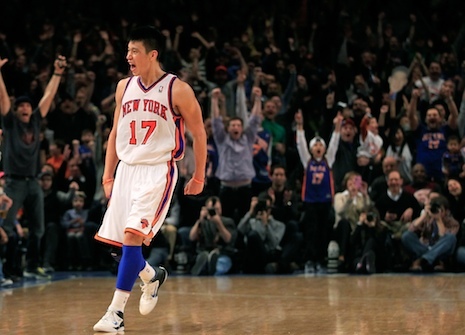 So far, we are 10 games into the LIN Dynasty and his record is pretty good (8-2). That’s a pretty clean slate for this young kid. HARD WORK PAYS OFF KIDS.